Body weight of the spinner is another important characteristic. Keep in mind that the spinner should be in proportion to the size of the blade. 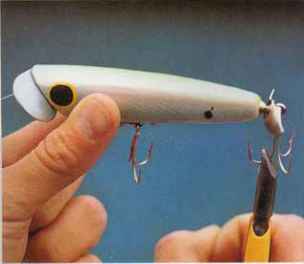 This means that if the spinner is too heavy, the spinner will not work as effective since the blade will be unable to produce the required drag needed in the water to make it spin. On the other hand, if the spinner weight is too light, you will have trouble casting and the spinner will come to rest too close to the surface of the water so fishing deep will not be achieved.